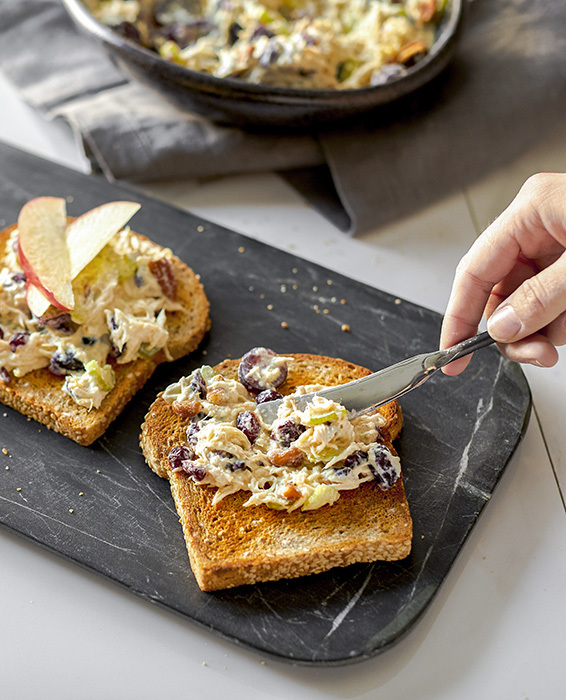 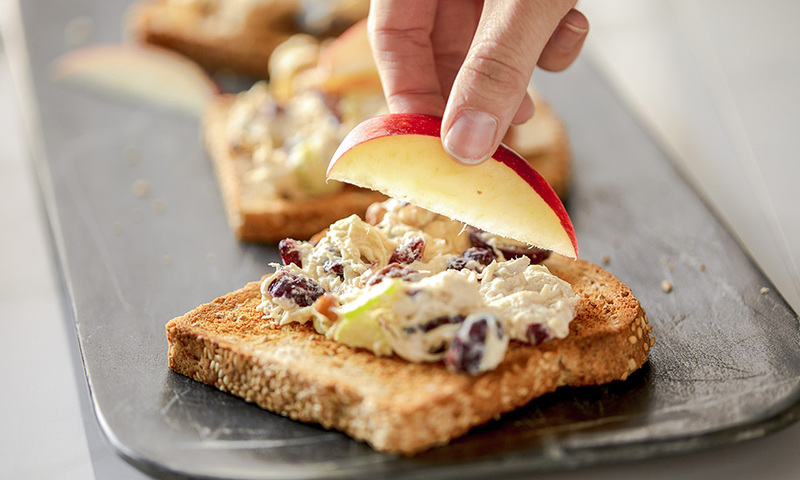 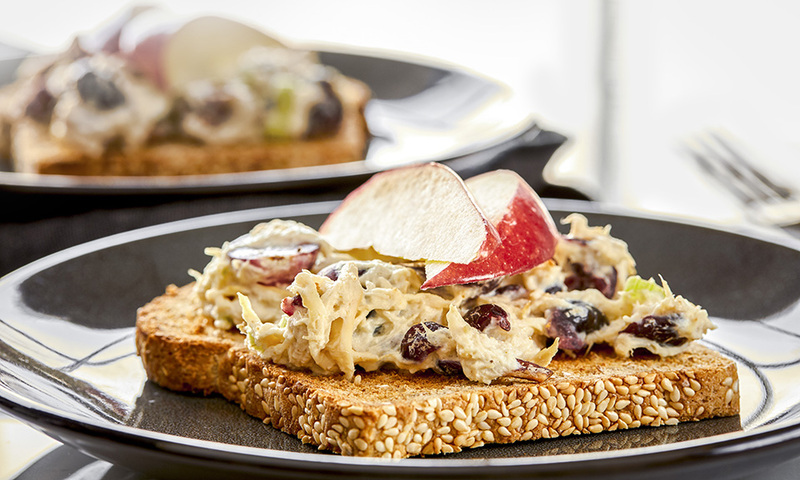 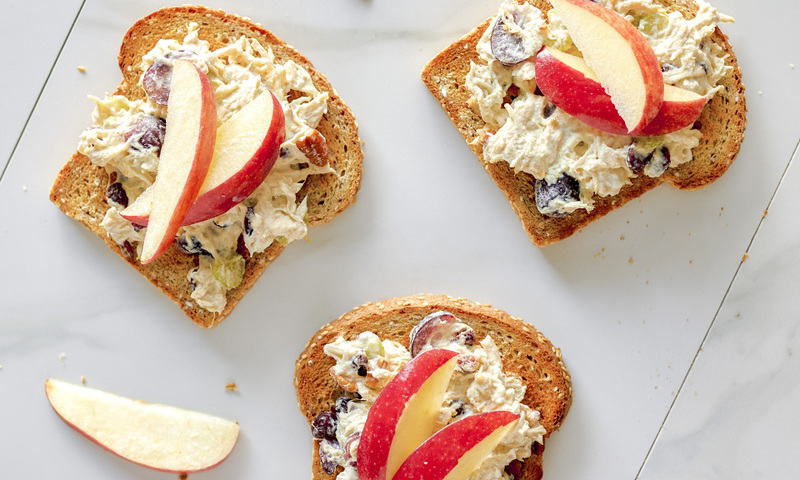 Hearty wheat bread stands up to the saucy chicken salad that's packed with all of your favorites, including pecans for crunch and dried cherries for a tart kick. 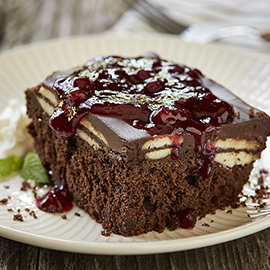 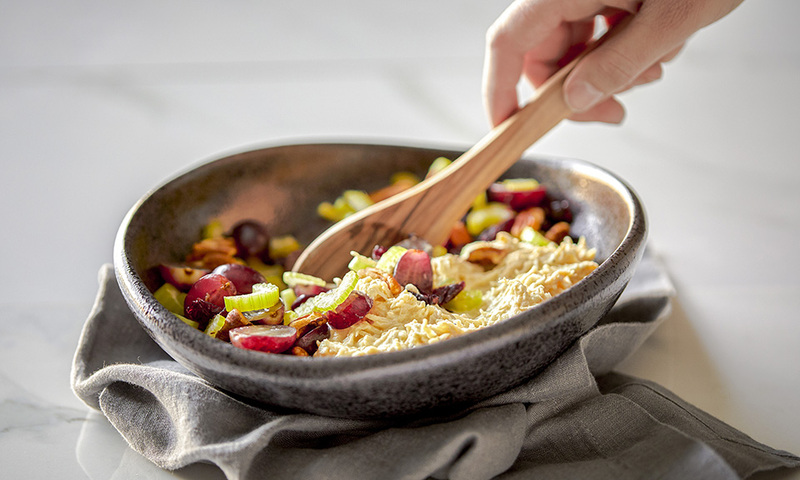 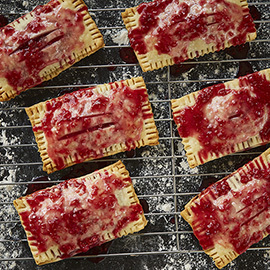 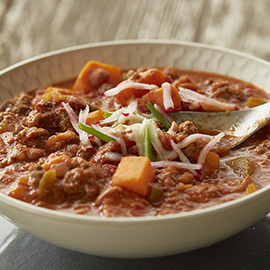 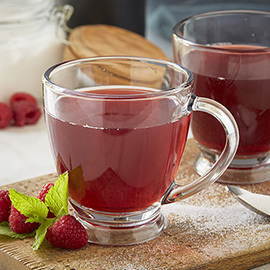 In a large bowl, toss together the chicken, grapes, celery, apple, cherries and almonds. 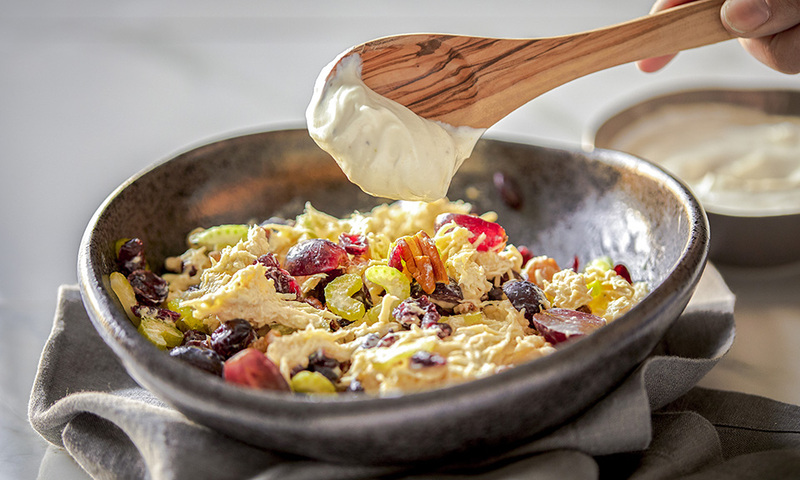 In a small bowl, stir together the Greek yogurt, mustard, salt and pepper. 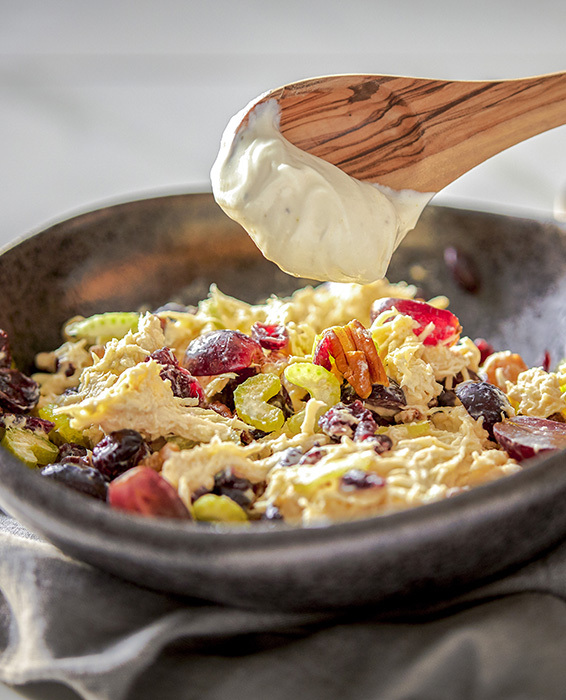 Pour the Greek yogurt mixture over the chicken mixture and stir to coat. 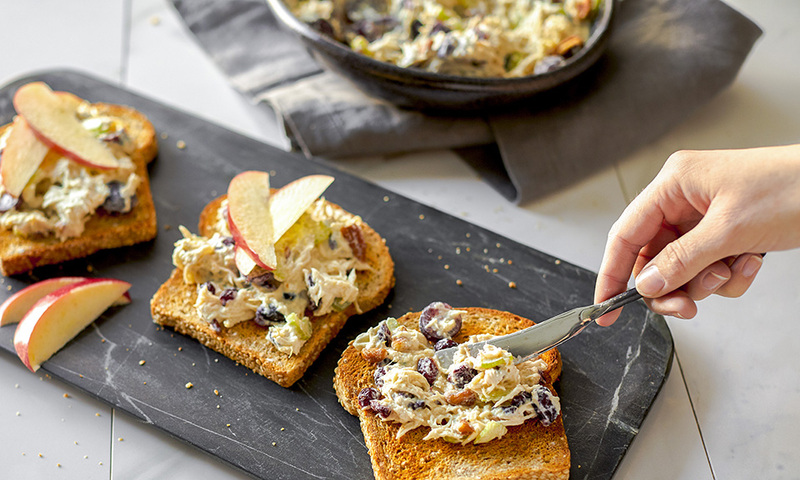 Top each toasted bread slice with chicken salad.